Today’s live event ecosystem includes a wide range of destination targets, from Facebook to YouTube to customized playback experiences in web browsers, mobile apps, and smart TVs. The vast majority of deployment systems require RTMP ingest and use a combination of HLS/DASH/CMAF for packaging. 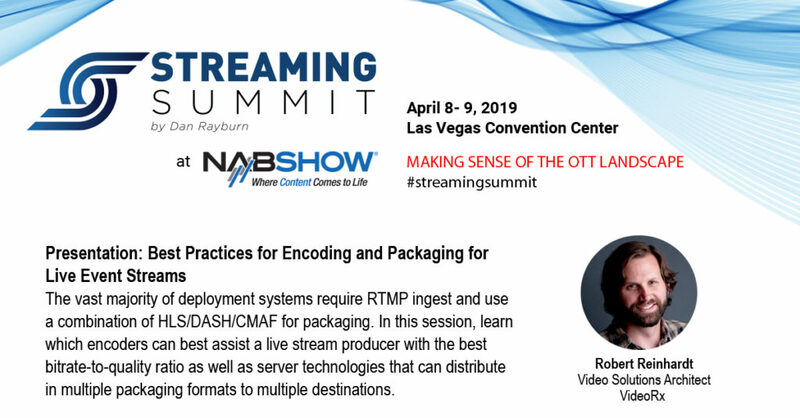 At the Streaming Summit, taking place April 8-9, at the NAB Show, learn from encoding guru RobertReinhardt which encoders can best assist a live stream producer with the best bitrate-to-quality ratio as well as server technologies that can distribute in multiple packaging formats to multiple destinations.